Hi Chris, Your suggestion about adding grasses into my front patch has really got me thinking. I’m going to totally revamp this old lavender patch – shame, they have had a good 4 years. So – I am going to pull all that out and start fresh! I sat having a coffee and sketched out, more or less, what I see for this front section. I have the dry river bed effect that has already been done (just totally hidden by the lavender) and adding grasses beside it and my special Leopard tree in the one corner, bringing in some hight and a tree in the front area. I just love the look of this tree. The patchy bark and the soft foliage. Just beautiful. But the winner will be the selection of grasses. I have to be very careful with this to get the right effect! I would appreciate any professional advice on this topic. Me being a total novice at this! 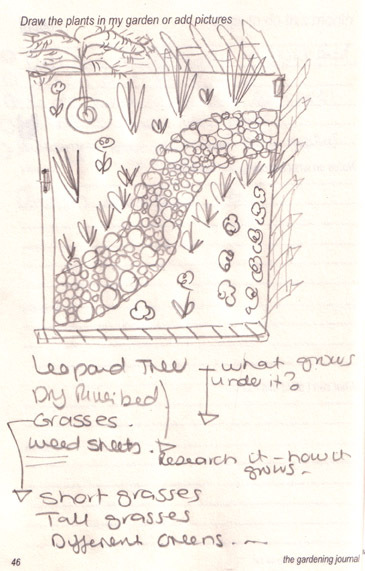 I just found this article by a garden designer (with photographs) of how she used grasses to design a garden. I think the photos are great and the info is very interesting! Thank you so much for all your help in the research – I could not do it without your help! Your’e a superstar!! I’ll chat to you tomorrow when I’m there. And thank you for your kind offer on sharing you Shenandoah with me!! Let’s rather go to Fairholme Nursery to see what they have. Maybe this we can do sooner rather than later! Maybe for our next monthly outing we find a cool nursery out in the country that sells unusual plants – not the same stuff all the nurseries have? Hi Barbie – I agree with Diana that we need to be careful what you plant so you don’t end up with a new problem . But there are lots of beautiful grasses that you can plant that are not invasive (or can be controlled). I’ll give you some of my beautiful Panicum Virgatum “Shenandoah” (if you like? – it is not invasive, I checked it out already) – now I do wish I had bought 2 of them! I see now it is from Fairholme Nursery – and they had other beautiful grasses … maybe we should go there? 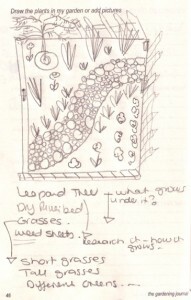 Remind me on Friday to lend you my book with all the plant types – it has a section on grasses. Restios? Beware, some of the beautiful grasses are very invasive. I inherited Pennisetum/fountain grass from tenants in our last house. Carefully brought 2 seedlings with me to this garden. And I am still battling to make sure I remove all the seedlings.